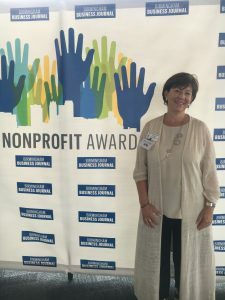 Each year, the Birmingham Business Journal recognizes nonprofit organizations and companies in the Birmingham area who are making a difference for our community. 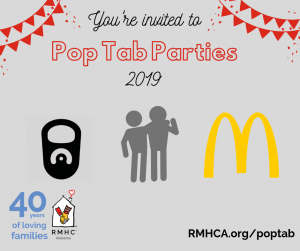 Ronald McDonald House Charities of Alabama was honored to be nominated and recognized in the $1M-$2M Budget Category with other amazing organizations in town. A beautiful awards ceremony was held at Regions Field to recognize all of those who were honored. Check out this video from Uptick Marketing to learn more about each organization and see some footage from awards day: BBJ Nonprofit Awards 2016. To see all those recognized (and the winners) – see this BBJ article: Meet the 2016 Nonprofit Awards Honorees.